I know that I have mentioned two of Stephanie O'Dea's slow cooker recipe books a billion times, but I just cannot say enough great things about Stephanie O'Dea and her slow cooker recipes. I have taken the books out of the library enough times that Abisaac has asked (several times already) "why haven't you just bought those books so you can always have them on hand?". Well, the answer is....laziness. I truly have no excuse, what, with the handy dandy internet and all the websites available to buy these books online and have them shipped right to my front door. Truth be told I am lazy. I will stand behind the new excuse of "I have a new baby and I have become a forgetful, disorganized nutcase (at times)". Yes yes that's my excuse. Well, either way, today when I found myself with some leftover chicken that I had no idea what to do with and a tiny bit of extra time I chose to find a way to make dinner (quickly) and ensure that we weren't stuck eating pasta. Now, don't get me wrong folks...I love some great pasta but really it's often the go to quick and simple meal that we prepare when feeling tired and uncertain about what to make for dinner. That's another story for another time I guess. This time I went online (look at me, joining 2012!) 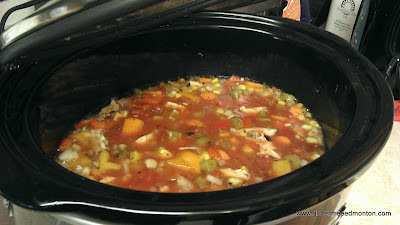 and searched www.stephanieodea.com, well actually I searched crockpot365 and found her website. You see, remember, I have mommy brain and have become a disorganized mess at times, so I could not remember the actual website but I did remember that Stephanie O'Dea had chosen to make her New Years resolution in 2008 to use her slow cooker every single day for an entire year. She blogged about it and now has multiple fabulous cookbooks and many other accomplishments under her belt. This is what came from my "what do I do with this cooked chicken on a cool fall day" quandary. As with all of the recipes I have tried from either Stephanie's website or her books, I found this to be super easy to whip together and it filled the house with the wonderful smells of soup that had been cooking all day. I love that smell, especially when I know how little time and effort it actually took me to create. Dice all of the vegetables into fine bite sized pieces, add to slow cooker. Add chicken broth, diced tomatoes, garlic, onions and spices. Stir to ensure that it is all well mixed together. Cook on low 8-10 hours of high for 6 hours. 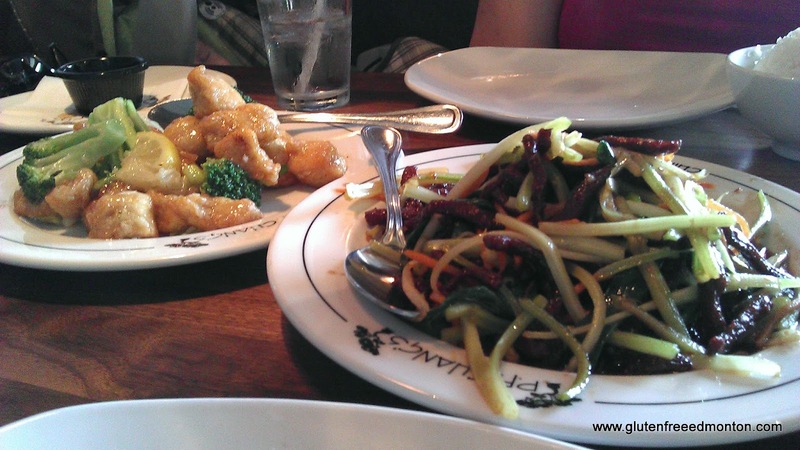 PF Chang's has finally arrived in Canada. Unfortunately it's only in Toronto right now. But I bet you would love ti have one in Edmonton! 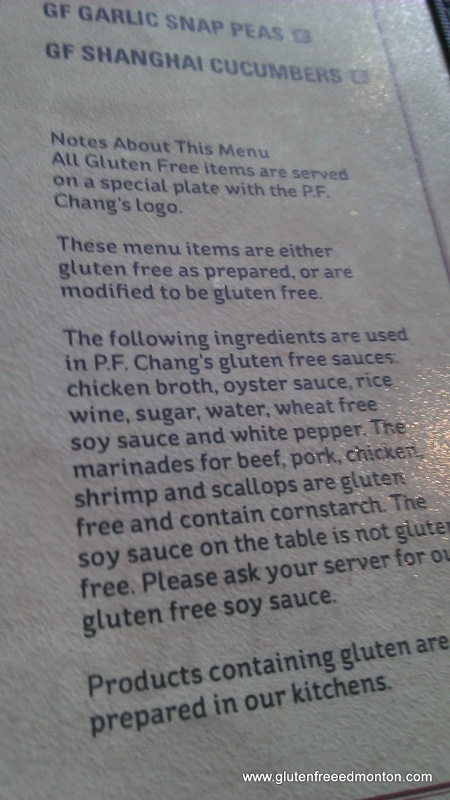 Anyone we hear from that has traveled to the States always rants and raves about PF Chang's gluten free menu. 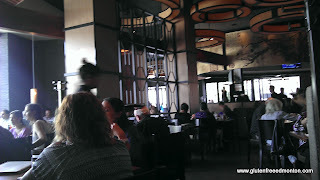 So on a recent visit to Toronto we had to see what PF Chang's was all about. The location is located in the new Shops at Don Mills, once a neighborhood mall, now a booming high end outdoor shopping village with park and fountains. 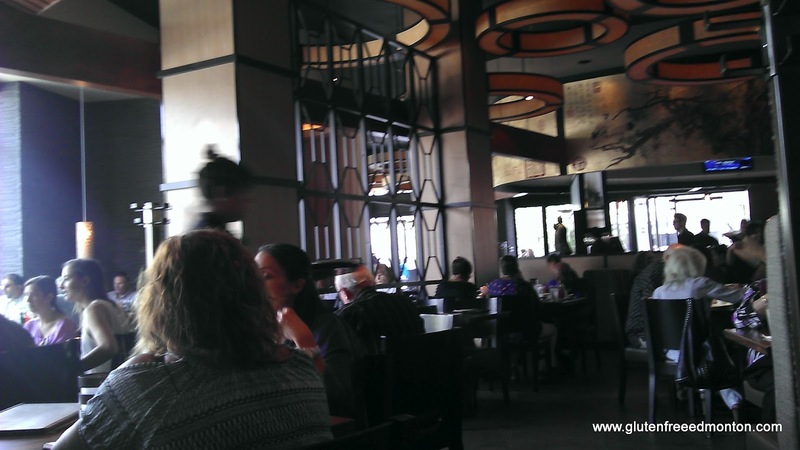 I've never been to a PF Chang's so I didn't know what to expect. I always thought pretty casual, but being in this new shopping area, I thought, wow, pretty fancy. Until I saw it was beside a Joey's, which is known to be pretty casual (apparently except in Toronto). We were quite impressed with the gluten free options available. There were plenty to choose from. All the items were grouped in a section in the menu with a note that all of menu items are served as is or modified to be gluten free. They had a gluten free lunch menu and a gluten free dinner menu. Although we went for lunch, we ordered off the dinner menu because the items we wanted were not on the lunch menu. 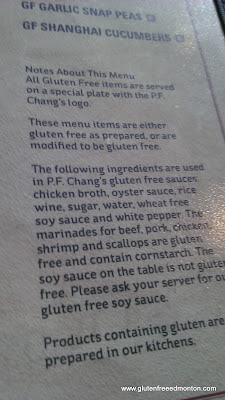 So what's available on the PF Chang's gluten free menu? They even had a few desserts. So what did we try? 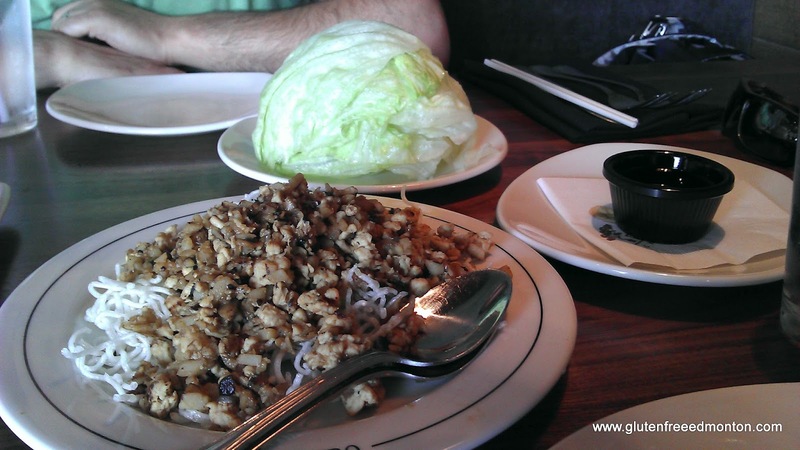 Well we share the lettuce wraps, lemon chicken and Sichuan beef. And how was it? It was actually really fantastic. The lettuce wrap filler was so delicious I was tempted to ditch the lettuce and use a fork because I could eat it quicker. The lemon chicken on the menu was noted as tart, not a typical sweet lemon chicken. And oh boy did it live up to that. It packed a punch and it was a tasty punch. The chicken was coated as well, which was a nice touch. I thought they would have served it bare, but they must coat it with a rice starch as I have seen in other restaurants. The Sichuan beef was thinkly cut, along with julienne veggies, all perfectly cooked. The beef had a good crunch to it that kept on having us picking off the plate even though we were full. Totally not a disappointment. I am not going to lie, it was pretty expensive. I'm not sure if it is expensive in the states, but what I described was just over $50 with no drinks ordered. But we really enjoyed the experience and thought it was worth it to try it at least once while we were in Toronto visiting family. Click here to see PF Chang's full gluten free menu. I was at the Cactus Club last night for dinner. While they opt for a 'removal' strategy (ie burger without bun, salad without croutons, rice bowl without sauce), they were able to accommodate gluten free, and the wait staff was quite knowledgeable. 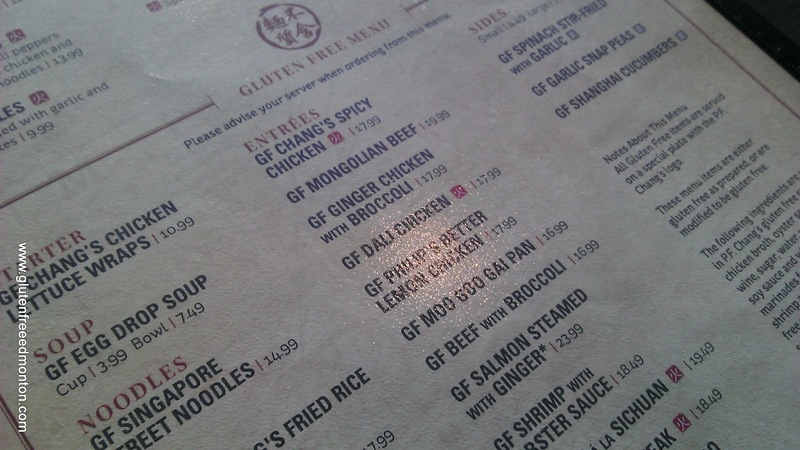 They are also in the process of printing 'gluten-friendly' menus, and you can already access them online. I had checked the menu beforehand, so I packed myself a bun and had an excellent burger, with a fancy side salad. They did have a few chicken and steak options available gluten free as well. Not too shabby. 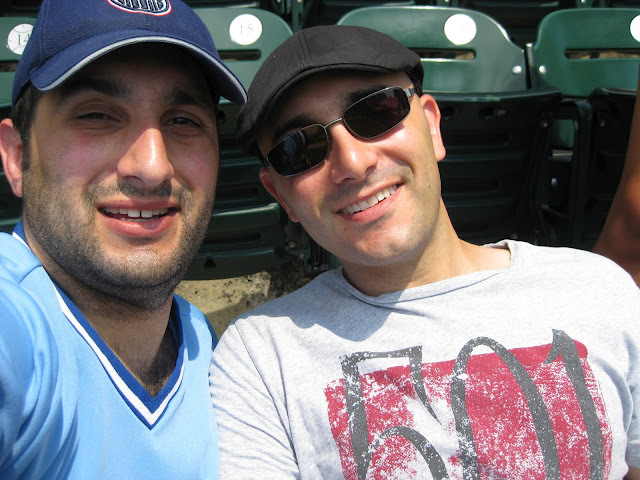 On Friday September 14th, my brother Daniel Saraga, blogger at www.haggisandherring.com, a huge contributing factor to why I blog here has passed on at the age of 37. Daniel was a loving husband to his wife Meredith, father to Jacob, Jeremy and the future J3 (expected date of birth January 2013). Daniel was also a loving son, uncle, grandson, cousin and much much more. Daniel passed away doing what he loves best, cooking dinner for his family. 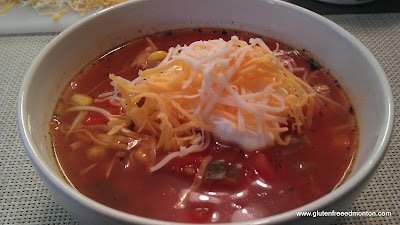 I've blogged several times about Daniel and some of his recipes. Daniel had such a passion for food, it was a big part of his life. I remember when I first saw his passion for food. It was when he worked in a small East Indian restaurant in Peterborough, Ontario as a student at Trent University. To be honest, I think half the time he didn't get paid, but they sure fed him and taught him about cooking in a kitchen. Of course he stole some of their recipes, and I got to taste some of his first East Indian recipe. My brother loved embracing the multiple heritages in his house hold, hence the blog title Haggis and Herring. His wife is British and Scottish, and my family is a Jewish Eastern European and Jewish Moroccan. Lots of culture to work with in his kitchen. My brother loved a challenge. So he loved it when we visited, because then that meant he had to cook his meals gluten free. Amanda and I were just in Toronto a few weeks ago visiting my brother, introducing Uncle Daniel to his niece Naomi. This meant, big family gathering, and a monster cooking gig. So my brother went through his recipes and picked out the Moroccan recipes that were naturally gluten free and went to town. This is what my brother lived for and had such a great time running the kitchen to prepare a meal for 40 people. I have vowed to keep his blog running because Haggis and Herring is his legacy that should live on forever so people can take in his recipes. Meredith posted her eulogy to Haggis and Herring this morning. I encourage you to read the eulogy, learn more about my brother, who he was, and why I looked up to him, and loved him so much. Read the post Daniel Saraga - The Haggis and Herring. Read about the Secret Recipe Club tribute to my brother. Also read what Amanda had to say about my brother Daniel in her post Support, love and gluten free all combined. Every now and then, I get emails from the media about a story they want to do on Celiac Disease or the gluten free diet. I am always very happy to help to raise awareness of Celiac Disease in Edmonton. Most of the time I try to get Amanda involved so she can provide her personal experiences. Sometimes the stories make it to print, or make it to air, and sometimes they don't. 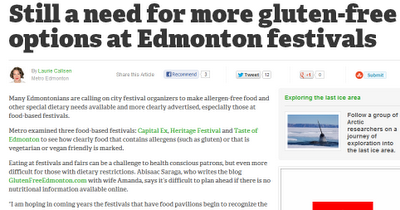 Recently Edmonton's daily Metro contacted me about eating gluten free at Edmonton's festivals. After all, Edmonton is festival city right? I thought this topic was interesting, because it is true, Edmonton is festival city, and food is typically a big part of festivals. So what can someone with Celiac Disease eat at these festivals? Well, through some emails back and forth with Laurie Callsen of Metro Edmonton, I found my statement made was true: There is lots of opportunities for Edmonton Festivals to reach out to the Celiac community. Through research by both of us we found that Taste of Edmonton is the only festival that accommodates in the sense of displaying gluten free friendly menu options at the food stations. Anyways, I was quite happy that this article made it to print. I am hoping festival organizers caught wind of this article to realize the opportunity they have to drum up more business from the Edmonton Celiac community. I encourage you to give the article 'Still a need for more gluten-free options at Edmonton festivals' a read and pass it on to the organizers of festivals that you want to attend, so they know about the demand. Raising awareness is our best tool to encourage any business to accommodate the gluten free diet. Thank you Laurie for such a great article in support of the Celiac Community. Having celiac disease is never easy, but with a bit of planning, you can help make tax time easier by claiming a medical expense deduction to help with the costs of gluten free products. If you have been diagnosed by a medical practitioner with celiac disease, you can claim the incremental costs of gluten free products on your income tax return as a medical expense. 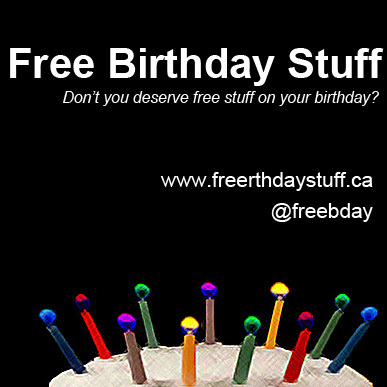 Eligible expenses are limited to food items, such as gluten free bread products, muffins & cereals. The eligible claim is for any incremental costs you incur - not the full price of gluten-free products. Defined as the difference of purchasing a non-GF product and the cost of GF-product, the incremental cost is determined by subtracting the non-GF product from the cost of the GF product. What documents do I need to support this claim? Tracking your gluten free items through the year doesn’t need to be hard. TurboTax has put together a simple and handy excel spreadsheet you can use to help you track your gluten-free products. Click here to download the expense tracker spreadsheet. You must be diagnosed by a medical practitioner in order to claim gluten-free products as a medical expense on your income tax return. 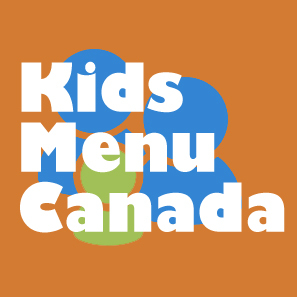 For more information on what is an eligible expense, and to determine if you are eligible to claim gluten- free products as a medical expense, please visit the Canada Revenue Agency’s website. Today is our 3rd wedding anniversary! I really do remember the day like it was yesterday. We had such a great evening with family and friends that flew in from Winnipeg and Toronto, to take over the Mayfield Inn for the weekend. It has been three wonderful years, and I am looking forward to many more! But this doesn't only mark our 3rd wedding anniversary. This marks the start of Amanda going gluten free. Amanda has written about this every year so far. Once about Amanda's decision to eat her wedding cake on our 1st anniversary, and then Amanda wrote a recap of her second year of gluten free living. I thought I would take a stab recapping another year of our gluten free living experience. Amanda had decided she wanted to wait until after our San Francisco honeymoon to begin the gluten diet. She quite understandably didn't want to go through the pressures of searching for gluten free foods in a city we were not familiar with, and a diet we had no idea about. After all, she was diagnosed only a few weeks before our wedding! I remember coming home from our honeymoon. Having a good night sleep, and then beginning the kitchen cleanup. We printed off a gluten free safe and unsafe food list and started through all of our cupboards and pantry shelf. We read each label, made a safe, unsafe, and not sure pile. Packed up all of the unsafe goods, and took it to the food bank. Put the safe products back in the cupboard, and forged ahead with more research on the 'not sure' pile. I remember it being very stressful. After all, the unknown is very scary! What can Amanda eat? What can't she eat? Do I go gluten free too? How do we avoid cross contamination in our kitchen? Whats going to happen when we eat out? Can we eat out ever again? panic panic panic. I'm not going to lie, it was a rough start, but we learned pretty quickly. Amanda loves to read books, and found The G-Free Diet: A gluten free survival guide by Elisabeth Hasselbeck. It really brought some comfort to Amanda as Hasselbeck shared some stories that Amanda was easily able to relate too. Today, we are still no expert, but we are certainly more comfortable and always learning more. Which is why we write this blog, to share our stories, to share our finds. 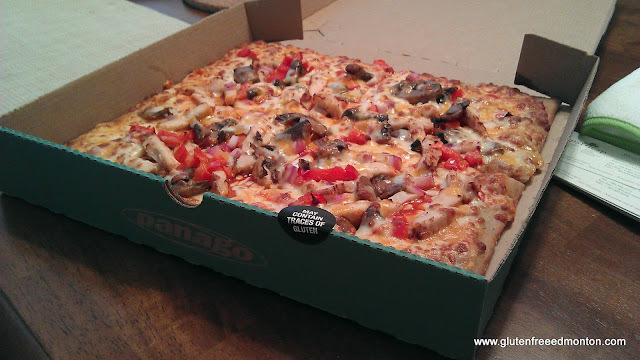 Have you tried Panago's Gluten Free Pizza? We did! I was one of the first to break the news of Panago's gluten free pizza crust. What's the significance about that? Up until then, there has been no widely available pizza deliver company that has a gluten free crust. All the others like Pizzeria Prego are small businesses that are great to visit for a treat, or delivery if you live in the neighborhood. Don't get me wrong, Pizzeria Prego has an awesome pizza, just not as convenient for families like ours that don't live near 111st and the Whitemud in Edmonton. I also know Boston Pizza has a gluten free crust, and although they do delivery, Boston Pizza is made for dine-in. So now with Panago having a gluten free crust, ordering gluten free pizza now becomes convenient! Why so? Well they have a central call centre for delivery, or you can order online. You can also order pick, and only wait 15 minutes for your pizza. Panago has a wide selection of specialty pizza's available, all great, and most gluten free. If you build your own pizza they also have a lot of gluten free toppings like their pepperoni and BBQ sauce that I wrote about in my previous post. Also convenient, the call centre has a list of the gluten free toppings. So how is their pizza crust? Its really good! It is a thin crust with a good crunch to it. Panago's gluten free crust is also square so you can't get it confused with their standard crust. I ordered it pickup so I can go into the location and check things out. I asked to look at the packaging, and they have each pizza crust individually wrapped to avoid the chances cross contamination. That was really great to see. However, and quite understandably, they still put a sticker on the box that says may contain traces of gluten. I believe they have to do that because they are not in a strictly gluten free kitchen. So I know this scared most people away, but business have to have disclaimers like that. Amanda is not phased by those disclaimers and knows to just ask questions about preparation and ingredients before she continues. Click here to learn more about Panago's gluten free pizza!